How about Rome? As a wedding photographer, I'm privileged to travel to many wonderful cities photographing gorgeous weddings. Have you considered a city-centre wedding? 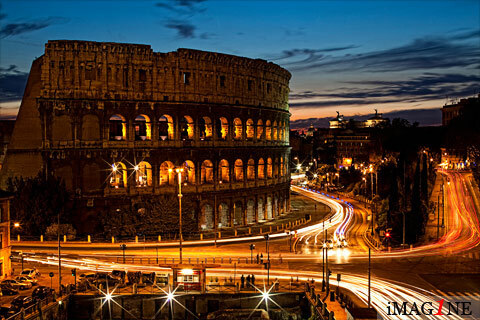 Rome: Italy's capital and the country's largest and most populated city. I love everything about the city - it's chaotic, frantic, glamourous & glitzy, ancient & modern - all rolled into one. Rome weddings are often in the city centre - then, if not staying at one of the many central reception locations, many couples travel just 15 minutes or so by car to one of the many spectacular country villas or castles nearby. 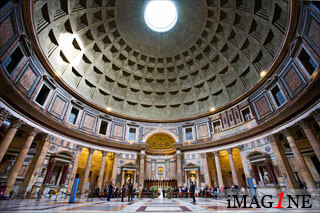 Did you know that you can have your wedding in The Pantheon? Amongst the oldest churches on the planet, it happens to be my favourite building in the world and it IS possible to marry there! More about that below. Situated on the Tiber River in the Lazio region of Italy, Rome's history spans over 2500 years. Up there with the rest of the world's most visited cities, there is so much to do and see in Rome that almost every corner you turn will bowl you over. Your guests will LOVE it! You may want to find time on your wedding day to travel with your wedding photographer around Rome and have some photographs taken with these awesome sights - St. Peter's Square is my favourite place to go to with brides and grooms. A Rome wedding photographer has an important responsibility, if couples ask for it, to get Rome into the images without them looking tacky. The Colosseum receives over 4 million visitors every year. No wonder as some consider it to be the greatest work of Roman architecture and construction on it began between 70 and 72 AD. Used for gladiatorial contests and other such public spectacles in its early days, The Colosseum's history is frightening and fascinating. Capable of seating 50,000 people, The Colosseum is another of Rome's famous sights that can provide a great and somewhat unique backdrop for wedding photographs. Hotel Palazzo Manfredi is a 5 star hotel that has a terrace overlooking the Colosseum - from which I took the image to the right. In fact, from that terrace you would rarely see a better view anywhere in the world of an ancient building and the great thing is, you can hire the terrace out for your wedding reception! St. Peter's Basilica in The Vatican City has the largest interior of any christian church in the world holding around 60, 000 people. Burial site of St. Peter, one of Jesus's 12 apostles and later the first Bishop of Rome, St Peter's Basilica is also the resting place to many of the Popes. As you step inside, it's difficult to take in what you're seeing as the huge interior is lavishly decorated with marble, architectural sculptures and gilding. The dome is amongst the largest in the world and a dominant feature of Rome's skyline. 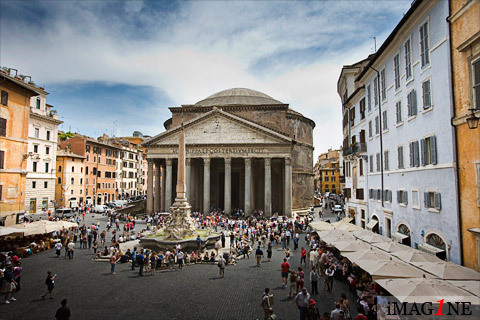 The Pantheon: Let's talk weddings here instead of history. As I mentioned above, it is possible to get married in this wonderful building. Drop me a line and I'll put you in touch with a wedding planner that can ask on your behalf. Villas & Castles: The outskirts of Rome has several wonderful Villas and Castles that are situated either within or very close to the Rome ring road. Brilliant wedding reception venues, these venues are often tranquil, classy and a lovely respite from the hustle & bustle of Rome itself. 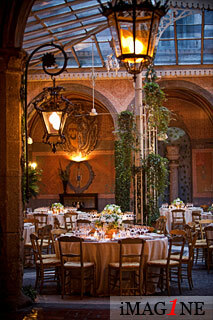 A wedding venue that I like very much is Castello di Torcrescenza. It's a short 10 minute drive from the very heart of the city but is in a park adhourned with fountains. The private residence of Princess Sofia Borghese Ferrari Sardagna di Neuburg and Hohenstein (phew), this really is a beautiful place and also a great wet wedding venue. Another venue that's worth mentioning here is the Casina di Macchia Madama. Finally, there is an enormous choice of hotels and restaurants to choose from for your wedding reception in Rome's city centre. The Hassler is one of my particular favourites; the view from the roof terrace over-looking the Spanish Steps and beyond is stunning. The Imago restaurant on the 6th floor of the hotel is incredibly swanky and the Michelin-starred food is sensational. In fact, so many of these luxurious and boutique hotels have sensational views of Rome - a wedding photographer's dream! Do you fancy a wedding in Rome then? It's a pretty cool thing to do ya know! 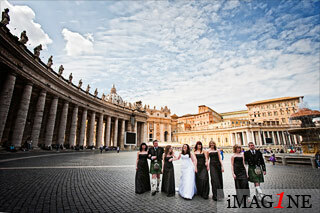 Also, don't forget, I can put you in touch with a great wedding planner in Rome - just ask me for details. If you're looking more generally at wedding destinations and have yet to make up your mind where your wedding will be, perhaps you'd like to try my Amalfi Coast & Sorrento Wedding photographer's guide..